People under Aries sign might have to face some trouble. Behave well with your near dear ones to avoid conflicts. Take care of your health. Stay back from illicit deeds or doubtful deals. Before signing any important paper, read the terms & conditions carefully. People under Taurus sign might get fewer results as per expectations. Business partners might try to cause you loss. You might also stay stressed or sick. Therefore, you need to take special care of your health till 15th December 2012. Transit of Sun in Scorpio sign will put positive effect on the people under Gemini sign. During this time, whatever you will do will be fruitful. All your troubles will be solved and you will keep on getting solutions to your problems. Enemies will shatter down. You will get position as well as respect. Cancerians! During this time, you will welcome life with full zeal and gusto. But for love, this time seems less favorable. Possibilities of sudden trips are also seen. People under Leo sign might have to do hard work during this time. And, continuity in hard work might make you exhausted. You are advised to stay away from bad company. And, you should drive carefully. 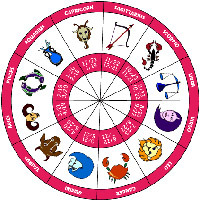 Domestic life of people under Virgo sign will be delightful and their long awaited desires will also be fulfilled. Small travels or trips will also be fruitful. You will get some good news of increment in financial treasury. Social relations will strengthen with family, friends as well as relatives. Health will be fine. People under Libra sign might have to face some troubles at home. Some family issues might be there. You need to stay alert in the matters related to finance. Keep a control over unnecessary expenses. During this period, your view for life will become positive. Your self confidence will remain high. There will be a hike in position and respect. Small trips will be successful due to your hard work. However, you will need to take care of your health as well as the health of your family members. Transit of Sun in Scorpio sign is not very positive for you. Therefore, you need to cease all the tasks at times of anger. Take decisions after thinking deeply. Take care of health. Keep your relations healthy with friends and relatives. Don’t follow a shortcut for earning money. Your desires as well as expectations will be fulfilled. You will get support from relatives and friends. You will get good results from some agreements or deals. Indeed it is a good time for love matters. There will be an increment in income. Long journeys will turn out to be comfy and fruitful to you. You are going to be very active during this period. There are chances of getting success at work and support from seniors. You will get relief from all your financial troubles during this period. Therefore, from all walks of life, this time is satisfying. Long journeys will not be fruitful during this period. However, people with high position as well as respect will support you. Chances of spiritual travels are there. Indeed it is a good time for workplace and financial matters. However, you need to take special care of the health of your parents.